Nikki Haley abruptly resigned Tuesday as the US ambassador to the United Nations, in the latest departure from President Donald Trump's often shifting national security team. Meeting Haley in the Oval Office, Trump said she had done a "fantastic job" and would stay on to the end of the year. "She told me probably six months ago," Trump told reporters, that '"I want to take a little time off.'" A successor will be named "in the next two or three weeks," he said. However, Haley was coy on her reasons for quitting, saying only that it was "important to understand when it's time to stand aside" after a string of challenging jobs. US media reports quoted administration officials saying privately that Haley's departure was a surprise even to Secretary of State Mike Pompeo. In a statement to journalists at the White House that lasted a few seconds, Pompeo called her a "great partner." He then refused to take questions. But she quashed the rumor. "No I'm not running," she said. Trump and Haley went out of their way to emphasize that the resignation was taking place on amicable terms -- something far from the norm in the administration's turbulent first two years. But while Washington insiders questioned whether Haley's departure signaled a new round of palace intrigue, a more prosaic explanation for the move was that she needs to earn a serious private sector salary. Her 2018 government ethics financial disclosure shows her with debts that included a mortgage of more than $1 million. Trump later said he has five people on his shortlist to replace Haley, including his former deputy national security advisor Dina Powell, who is Egyptian American. He did not give the other four names he has in mind. While Richard Grenell, the current US ambassador to Germany and former US spokesman at the UN, was not on the shortlist, Trump said he was willing to consider him for the post. Earlier, the president had quipped his own daughter Ivanka would make a "dynamite" replacement, an idea she quickly tamped down. 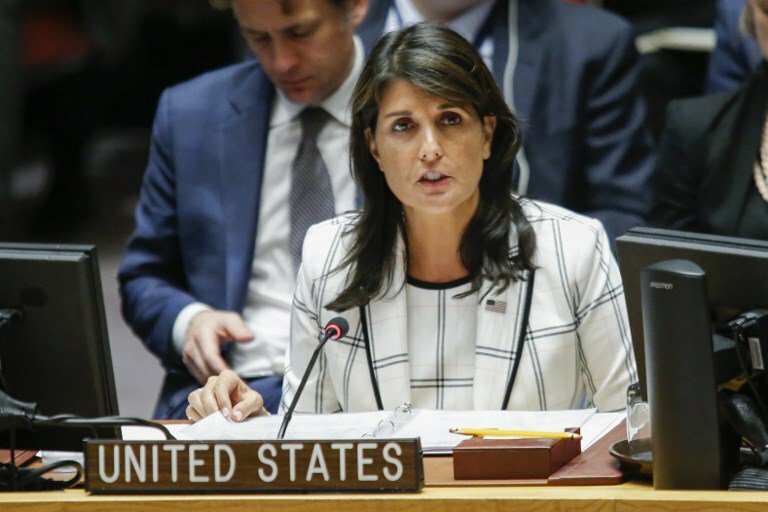 A former governor of South Carolina, Haley took the UN job with little experience in foreign policy, but quickly became the full-throated voice for the often unpopular Trump agenda. She got high marks from UN Secretary General Antonio Guterres, who spoke of his "deep appreciation." But for Stephen Pomper, US program director at the International Crisis Group, Haley's successes have to be weighed against her record as a "divisive force, attacking institutions and NGOs that serve transparency and basic rights." "She will leave the US role in the United Nations weaker than she found it," Pomper said.